It has been replaced by the AntennaCraft MXU47 UHF HD Antenna!!!! 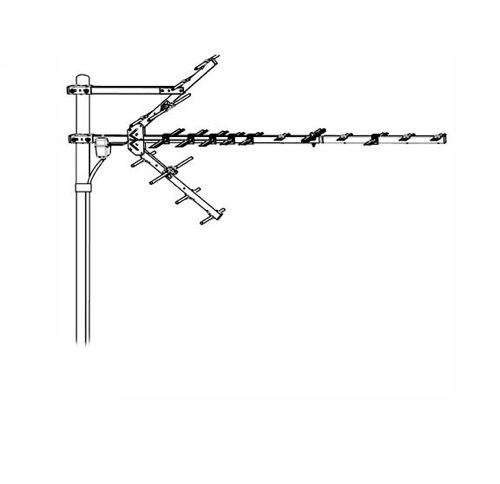 From deepest fringe to close-in metropolitan, the Winegard Platinum HD 75 ohm outdoor antenna line meets any reception need. Platinum HD antennas offer additional 1 dB to 2 dB higher gain on UHF, important for weak signal areas. Outstanding UHF reception achieved by precise director spacing and highly efficient corner reflectors. 75 ohm downlead coupler simply snaps into place for fast, easy assembly.